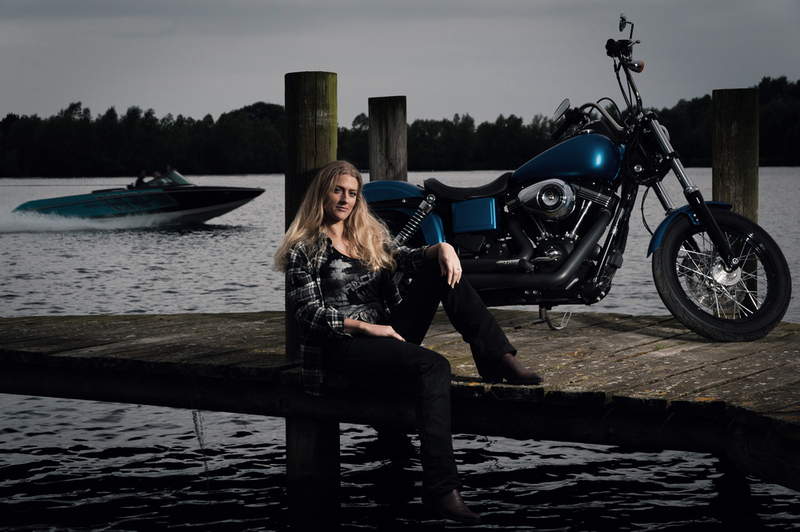 I've recently had the pleasure to photograph @TheGirlOnABike and her Harley Davidson. 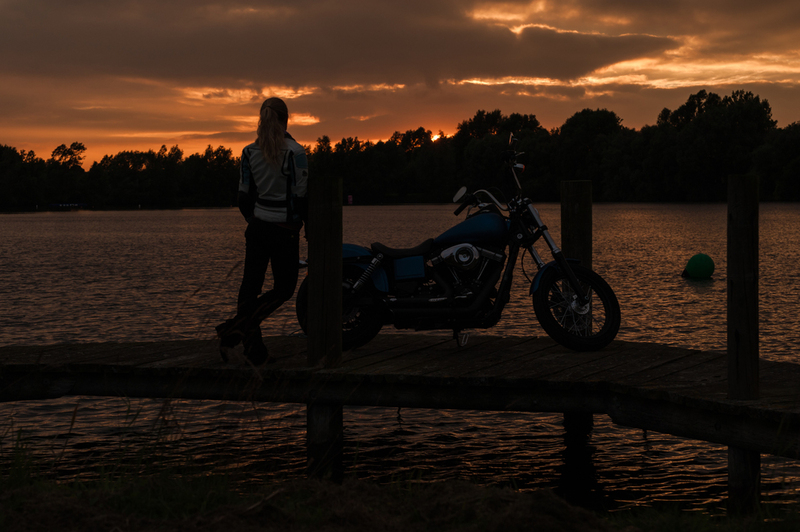 With all of the terrible weather we have been having in the UK the last week or so, this shoot had been put back until we had a break and the potential for a sunset shoot with the Bike. On the day the weather had been clear sunny skies all day... All day that is until it was time to go to the location of the shoot. The clear sky became overcast and the chances of a sunset over the lake got smaller and smaller.... Typical! The shoot of course still had to go ahead and the moody clouds certainly weren't going to stop it. In fact the dark skies helped create some real drama in the pictures. As the shoot was coming to the end we had a slight glimmer sun coming across the lake from a small break in the clouds. We got our sunset shot! I had a fantastic evening and @TheGirlOnABike was amazing to work with, friendly and hospitable. Great shoot!